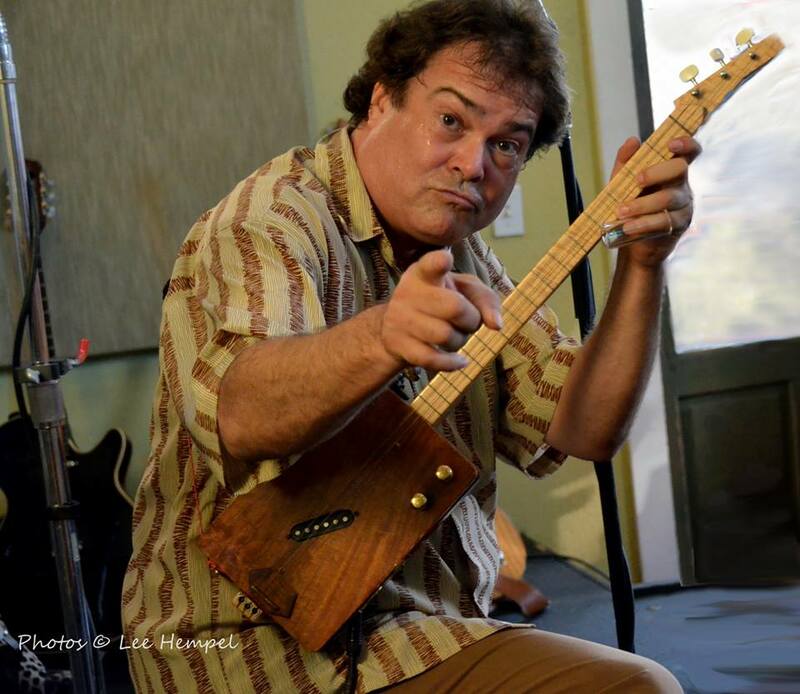 Fundraiser by Sheree Cauffiel Englehardt : Where Will GoTonight Go? ...staying around home base, making Tampa Bay the best place to be for music! GoTonight has been a free service since 2009; we had big dreams to expand and turn our hobby into a “real” business, but it was not to be. Although we did not get the help necessary to expand and improve our service, three things helped us break even for the first time: your contributions, doing nearly everything ourselves, and ceasing efforts to add additional cities and revenue-producing features. Having reached break-even for the first time, we are happy to stay around for our donors and all music patrons in West-Central Florida! New donations will be used to make improvements to the existing system, helping local musicians, venues and fans. We began this work earlier this year and many have already used the new password encryption and reset, and event entry auto-complete features. When we receive a donation of a tangible item, we will offer it here as a donor appreciation gift. Our thanks to cash donors and artists and venues who help by donating gifts. We are always open to your suggestions. 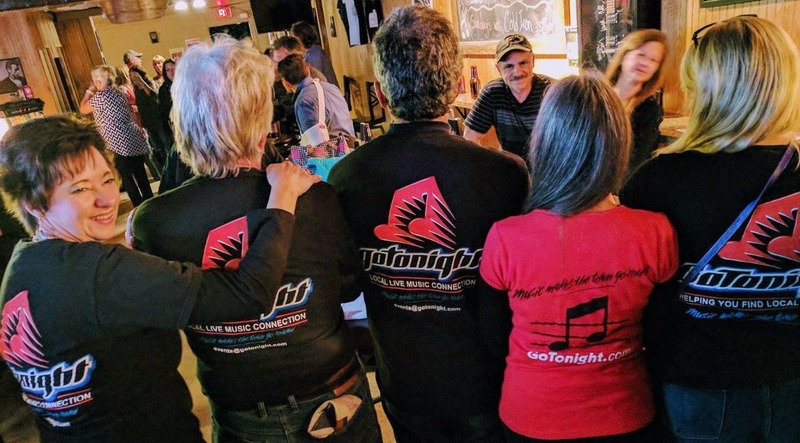 Feel free to introduce others to us if you know anyone who would like to be a part of a fun business that helps local live music in their community and elsewhere. Thank you to everyone who helps populate GoTonight and keep it going! Thank you for your donation! No donation is too large or too small -- every little bit helps. We appreciate your support and would like to give you something in return. With a $25 donation you get 2 music choices from our CD List. Click HERE to see list. Please provide your 2 music choices. A pass-code or instructions will be emailed for downloading the music. With a $50 donation we are happy to send you 2 CD choices plus one of our new shirts! Your choice of black or white in these sizes: S, M, L, XL, and XXL. We have basic T-Shirts or Ladies V-necks (pictured above in red). With a $90 donation you can have 2 CD's from the list above, a shirt, and your choice of a Bradenton Blues Festival Poster from the Years 2012 through 2017. Click the link to see the poster artwork. The posters are beautiful and would be a nice addition to your decor. Please specify choices in the comments when filling out the donation form. You may also use the campaign contact information at the top to specify details for ask questions. Hey everyone! We are still moving along with GoTonight updates. Soon we are going to have a "forgot password" function available to the venues and artists. Yes, it is true, something as simple as that holds us back. We deal with numerous emails every day from people who forget their passwords. There is no way a national website could survive without a "forgot password" function. Taking baby steps but we are going to need so much more to really get this website ready for prime time. Thank you so much for your support. Please share this with your friends who also love GoTonight! Thank you. PS . See and share our new promo video too! Hey Everyone! We are really getting some solid support from some of our friends in the community. GoTonight has raised almost $1000. Another $100 and we will reach that milestone. 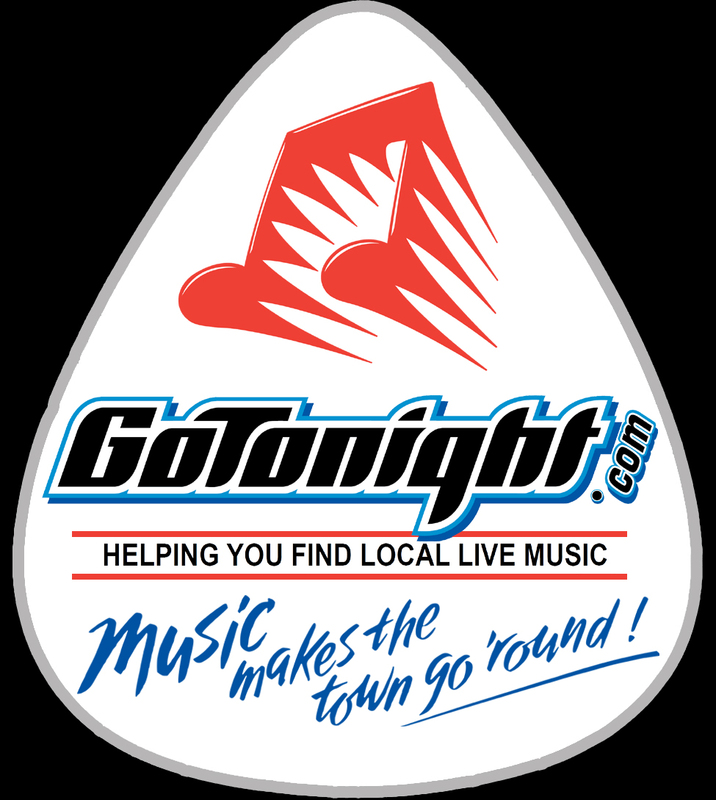 Your contribution Supports Live Music when you Support GoTonight! Don't let this valuable resource go away! Thank you.